Evaluating your worship team, like your own ministry, is definitely a beneficial thing! 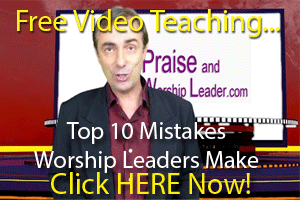 What Does Evaluating Your Worship team Offer? When you evaluate your worship team, you are taking the first step towards greatness, but you may find that certain individuals are resistant to this. Let’s face it, many people in your worship team will be resistant examine door, either thinking themselves above all of this, threatened that they will not meet your standards. However, when evaluating your worship team need to assure them that this is not a way of controlling or criticising, but a way of helping you as a team minister more effectively for the Lord. Just as you evaluate your own ministry, closely examining the way your team operates when you are worship leading can give you insights into ways in which they can improve. And you cannot only examine them as a team, that you can examine the individual lives represented by the worship team members, and have a positive impact in their lives pointing them back to the Lord, and restoring relationships you may have grown cold over time. Your team members may offer up all kinds of spiritual reasons why you should not evaluate them, but if you want your worship team to improve, you simply cannot adequately improve that which you cannot assess! A great time to re-evaluate how your team is ministering is at the end of the year, and that’s why we have done this podcast now. This is an excellent time to take the time to be evaluating your worship team, not with a view from criticising or being antagonistic, but with a view of improving their ministry and their personal walk with God in a variety of areas.